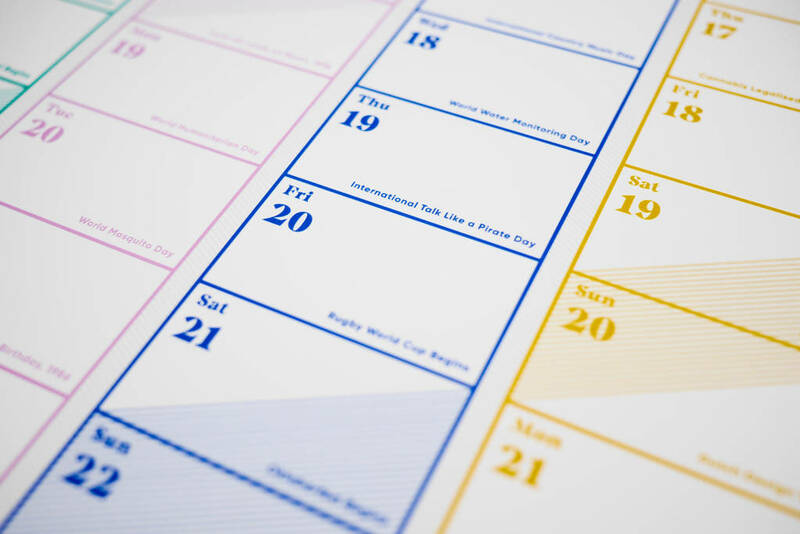 Make the most of 2019 with global events for every day of the year. Includes stickers for you to plan birthdays, weddings, deadlines and more. 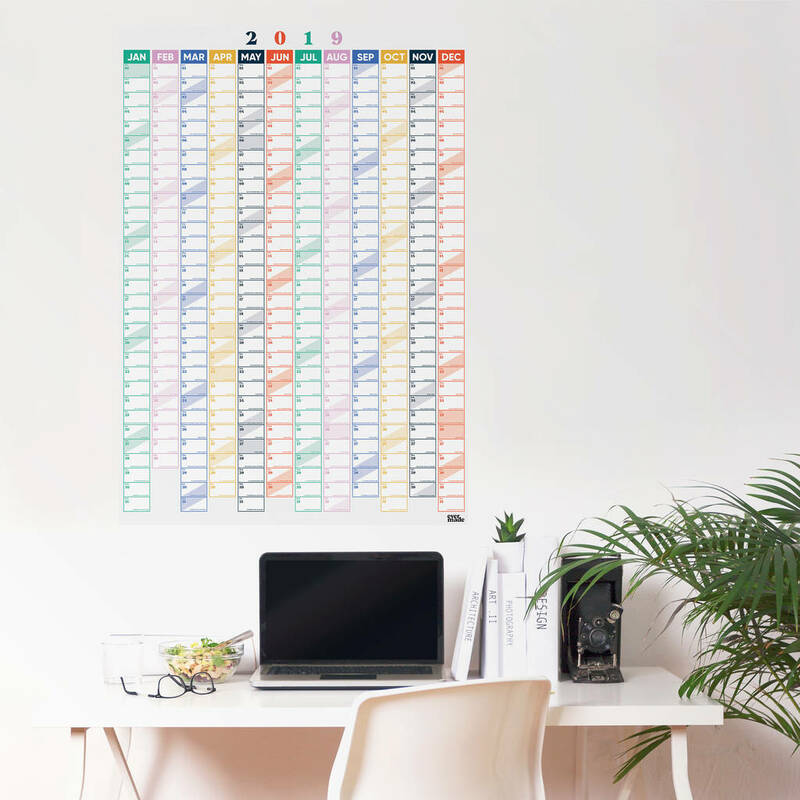 With every New Year comes renewed determination to get organised, and what better way than to put it all down onto this gorgeous 2019 graphic planner. 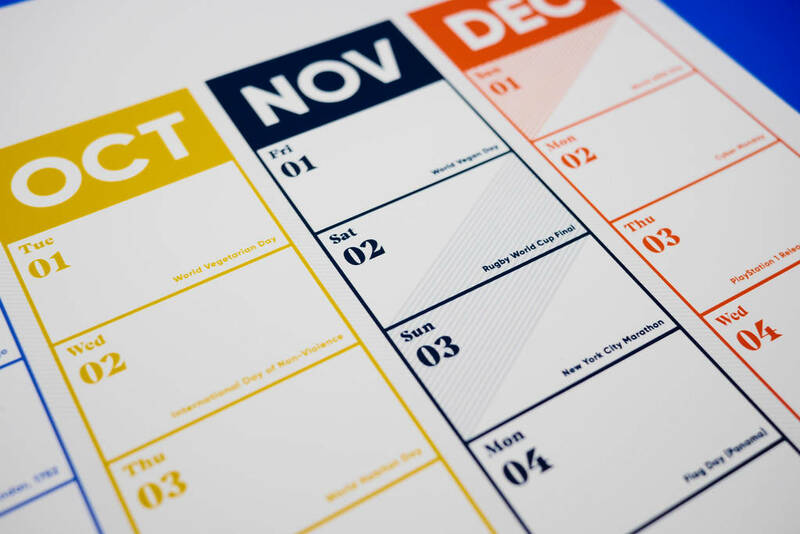 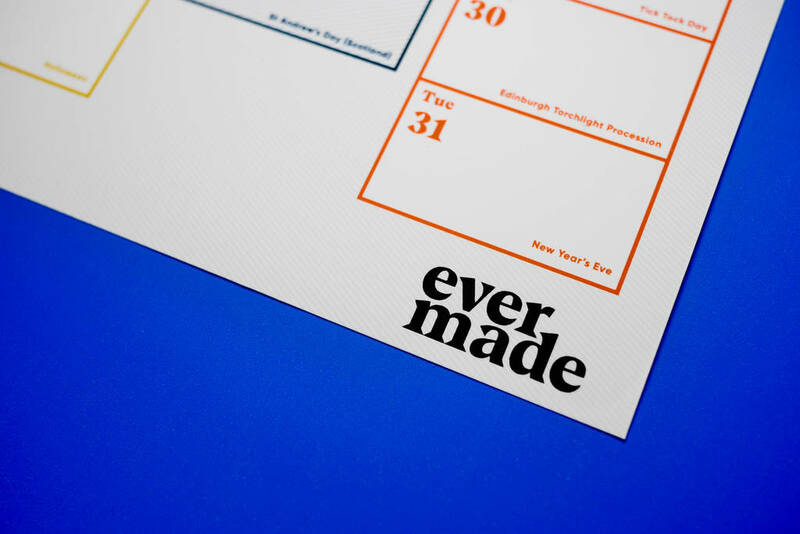 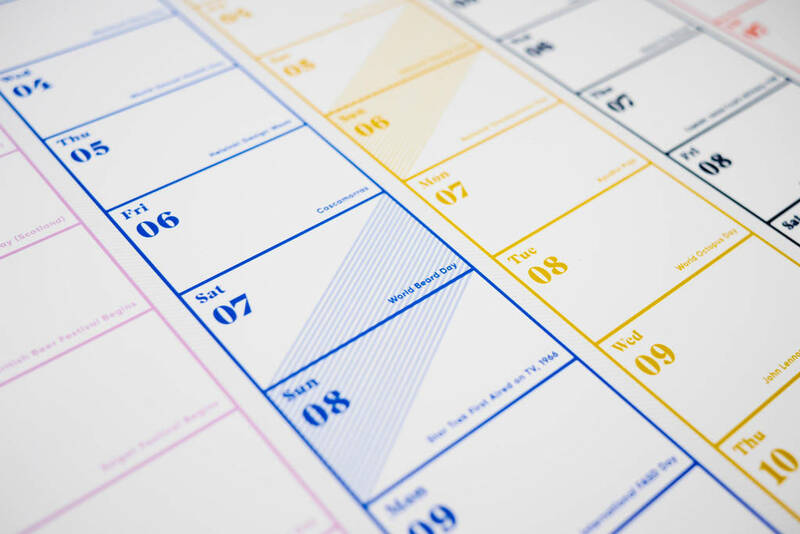 Back by popular demand, this colourful design from Evermade.com is elegant yet functional, with space to write all of your important dates. 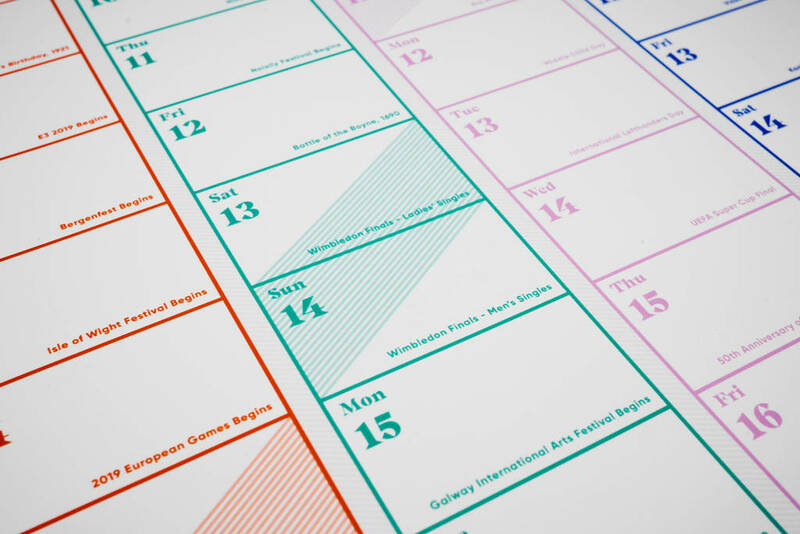 What really sets this planner apart is that it lists a unique event for every day of the year. 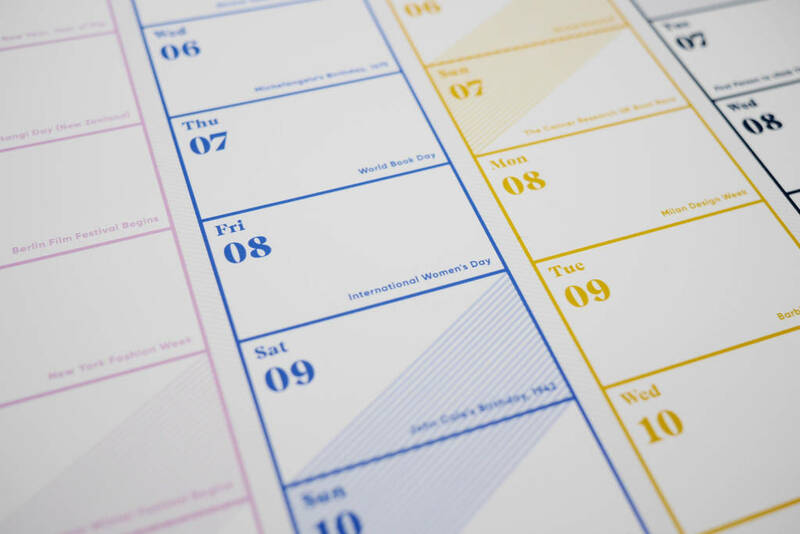 The elves at Evermade have been busy researching the year ahead for you, whether it’s The Rugby World Cup, Sundance Film Festival or World Cats Day, 2019 beholds something for everyone. 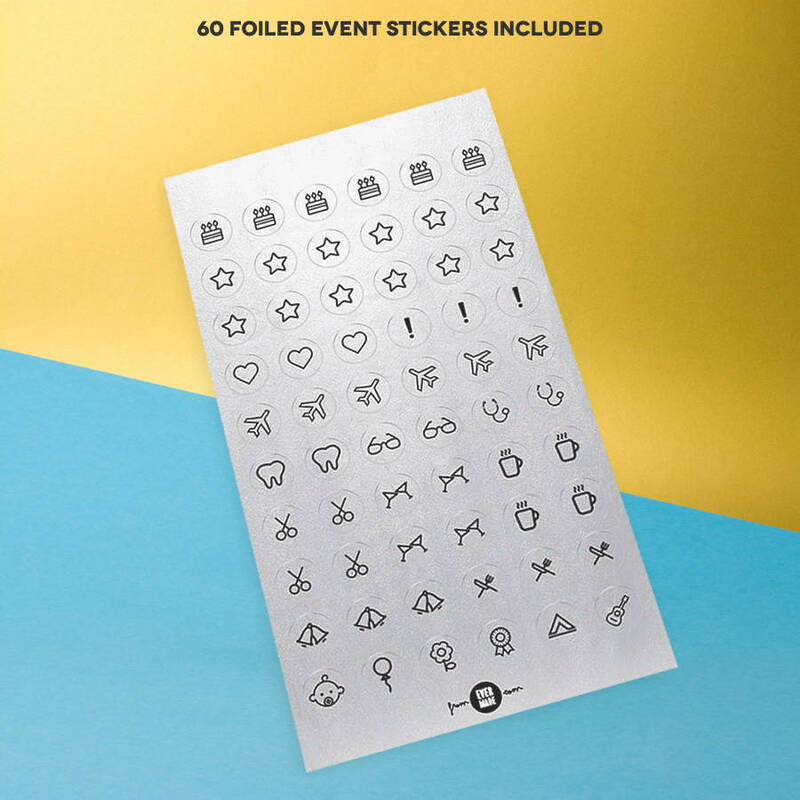 On top of all of that, you can keep your schedule in check with the 60 foiled motif-stickers which can represent a variety of appointments and memos, from dentist trips to sunny holidays, you’ll have it all covered! 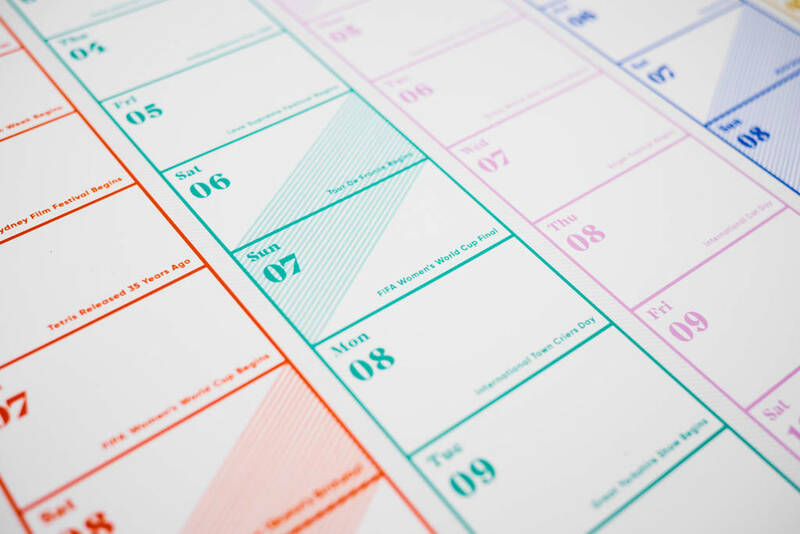 Printed onto 170gsm matt paper. 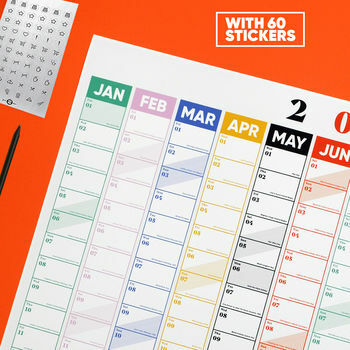 Your wall planner & stickers will be carefully rolled in gift tissue inside a postal tube.